Wendover to Grand Junction today. Once gathered, close to 700 MINI enthusiasts were gathered next to a McDonalds, entertained by the local high school cheerleading squad, followed by your pals db & Todd. 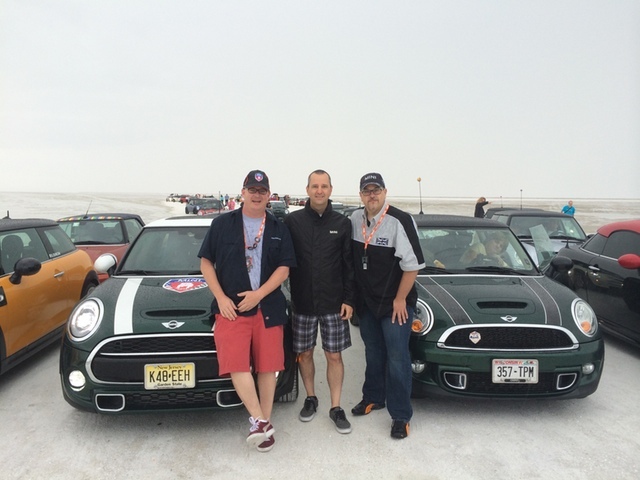 Once mounted up, we again led the convoy of hundreds of MINIs out of town to our first stop, the Bonneville Salt Flats. We were supposed to get the chance to drive the salt today, but due to monsoon-type storms for the past few days, the salt was too loose and clumpy for us to drive on it. 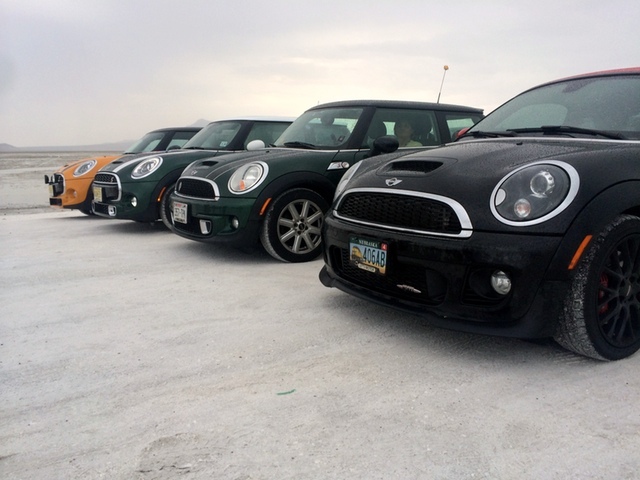 That didn’t stop us from at least getting as many MINIs as possible over to a very dry spot on the salt for photo ops. From there, there was a small contingent that got an exclusive service visit from MINI of Murray for minor and not-so minor repairs. Of course, the rest of us left them behind like they were James May and headed to a surprise and delight stop at Papa Joe’s for a nice break sponsored by MINIUSA! Tonight’s event starts shortly. Everyone is having a great time so far and every stop has been fantastic! Stay tuned for even more from #mtts2014!